Originally destined for the Australian market. Opened to change the plug to the UK 3 pin specification. 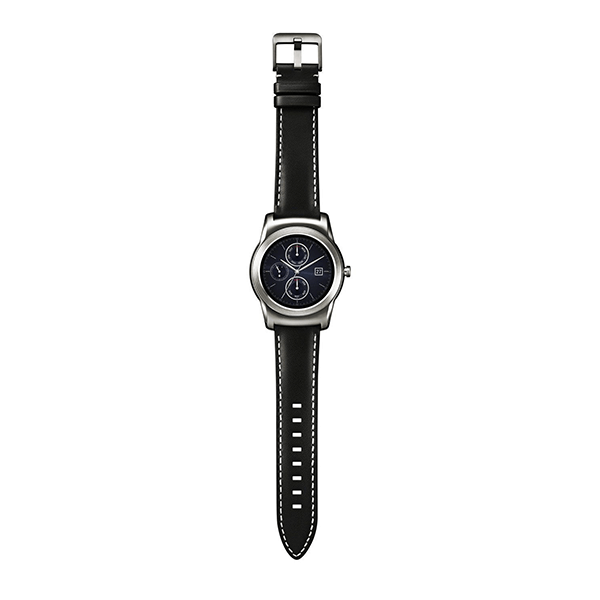 LG Watch Urbane has a full metal body with an interchangeable stitched genuine leather strap. The stainless steel body is accentuated with a narrow bezel that gives the device the sleek lines of a classic timepiece. A device fit for any occasion—dust tight and water resistant to wear everywhere, without a second thought. Your watch can connect to your phone via the cloud, so you don't always need your phone with you to stay connected. Scroll up or down without lifting a finger. You can scroll between cards with the simple flick of your wrist. 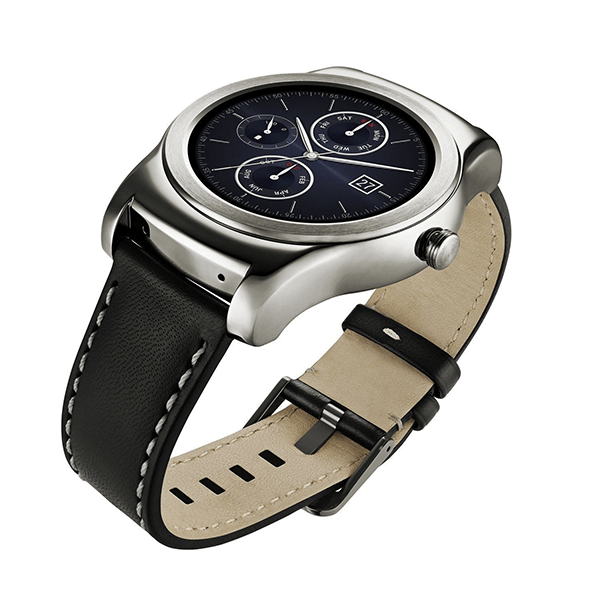 Access recent calls and the favorite contacts list on the connected smartphone to dial out directly from the LG Watch Urbane. When connected to a Bluetooth headset, there is no need to remove the phone from one’s pocket to place a call. 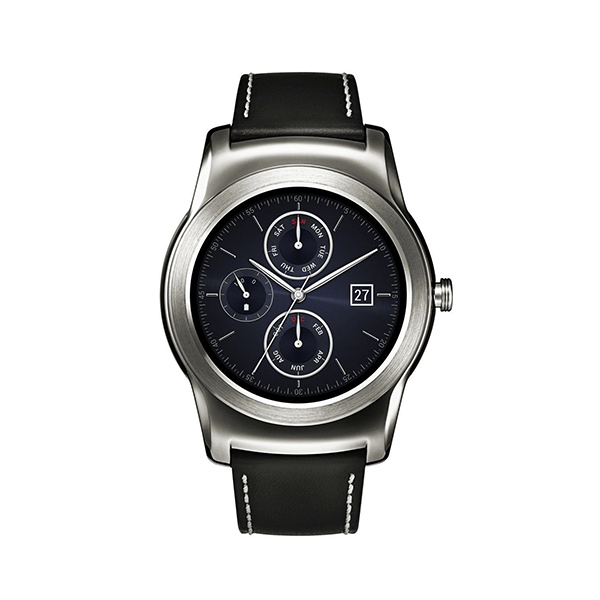 The screen on the LG Watch Urbane can now be set to lock automatically when it is removed from the wrist. 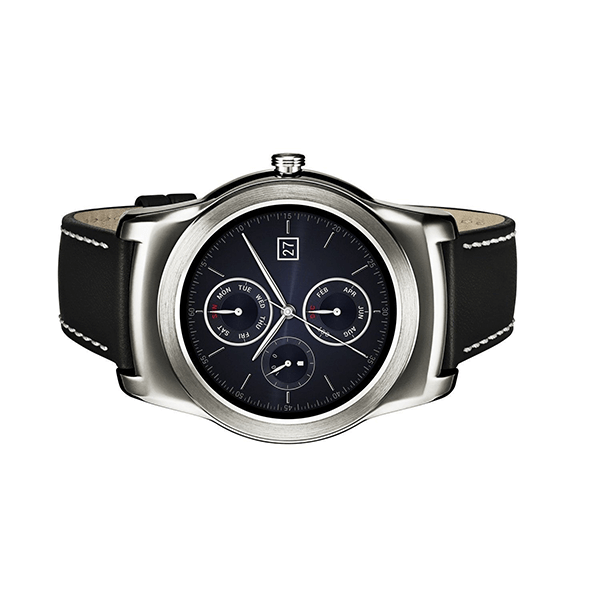 Whether en route or just beginning your journey, the LG Watch Urbane will show you the way. Make strides by monitoring continuous heart rate with a built-in heart rate sensor. Stay sharp and keep current with Time Reminders, Schedule Alerts, and Location Reminders. The LG Watch Urbane includes always-on apps to keep the display from going dark when running, navigating or even grocery shopping. The screen is only full color when you're actively looking at it—so you get the info you need, and you save on battery life.